“The real truth, to begin with, remains invisible beneath the surface. A gift from your father. Past your family and mine. Maybe, I drive into the past. Of future sounds not yet made? I'm leading a team of people. We aren't doing that now. Now, we are all watching for flies. twisted silhouettes against white flesh. & holds his attention captive. by the sound of speeding rail wheels & sloshing water. & hitting the strings of a small guitar. His eyes move from the massive body to me. I know he is no longer four. The brilliant green canopy wants me. all that I lost when leaving the womb. & I desire to drink from you. thirsty & full of sea smoke. the lifeless flesh are frightened away with each passing vehicle. images & sounds half-recalled, driving home. beyond the tree line, everything creamsicle memory. as southern soil & military formation. a small, white cross the size of a child's open palm. a ghost in plain sight. that will travel as ruby earrings, hidden. broken chords in failing song. what can never be seen. the facade stained with faded graffiti. reaches skyward yet bears no cross. There is a comfort in this decay. There is a comfort in this. to fill this interior void. but for what it could be. somewhere in space & sends signals back home. from the open mouth of empty. away from widows of lightning. Loneliness exists despite our longing. pastels pour from torn sky. planes crash endlessly as prayer. hoping to beat the weather but knowing I won’t. This diversion won’t last long. & every living thing is saturated in sky. 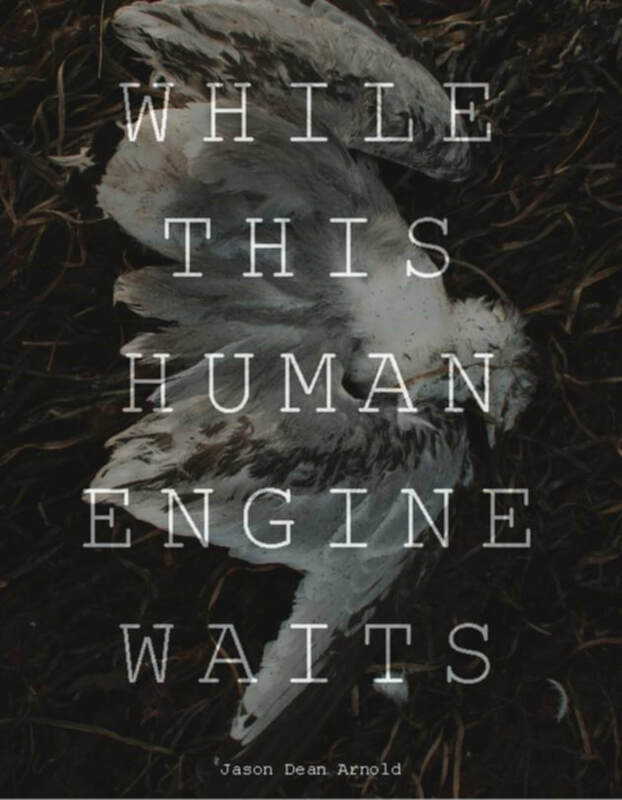 The title of this collection is taken from T. S. Eliot’s The Waste Land (1922). The title of the second poem is taken from a description of Virginia Woolf’s writing by author, Brian Dillon (Essayism, 2017). Jason Dean Arnold has a doctorate in education and serves as the director of e-learning, technology and creative services for the University of Florida College of Education. In this role, he leads the development of courses, digital content, and software applications that creatively enhance teaching and learning online. His artistic output is usually actualized as poetry, visual art, and music. He lives in Florida with his wife and daughters.